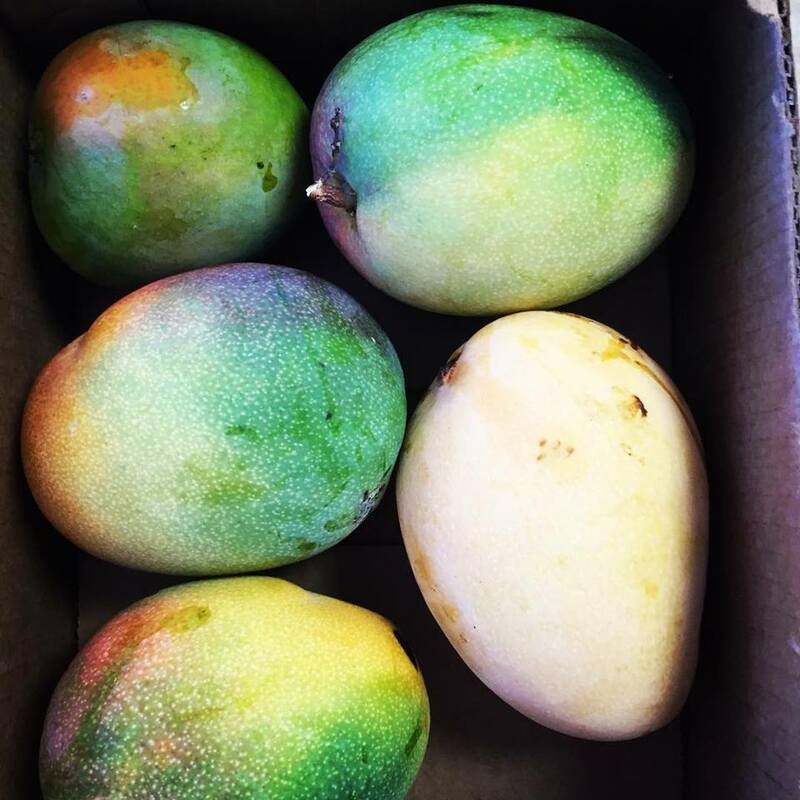 Mango season. That glorious time when fruit that tastes like pure sunshine is falling from all the trees in the neighborhood. It comes and goes so quickly that sometimes we hardly know it has passed. Everyone seems to come together in their love of mangoes. Even the odd person who doesn’t like them seems to embrace everyone else’s excitement. There is sharing between neighbors, there are rivalries over who had the best variety growing, and, best of all, mango everything to eat. Pickled mango, li hing mui mango, mango jam to keep the season going just a bit long, and every kind mango dessert you could imagine. 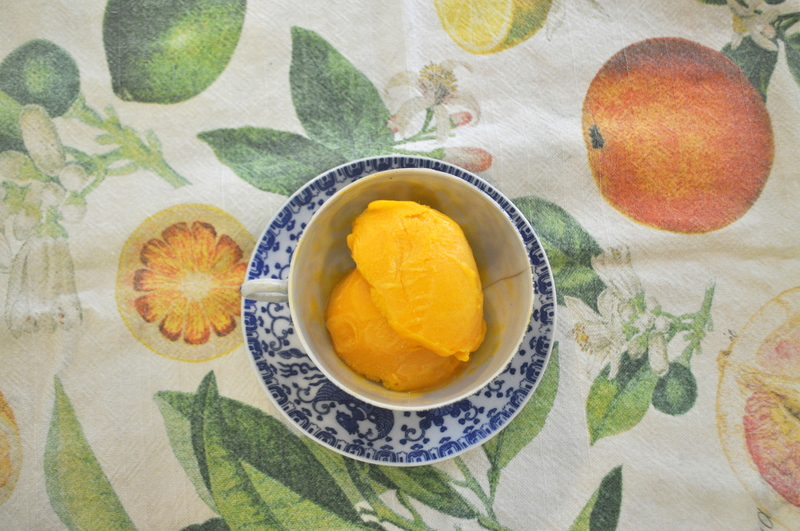 This sorbet is one of my favorite mango recipes because it really accentuates the smooth luscious texture of a perfect mango. To keep things interesting in a time of potential mango overload, I add lime and ginger to spice it up a bit. (The ginger syrup can also be used to make a wonderful cocktail with lime, white rum, and a bit of soda water.) I usually make this recipe ahead of time when I am having a dinner party. It is a great way to end a celebratory evening with a glass of bubbly. As long as it is in an airtight container, it will remain soft and smooth in the freezer for up to a week. If it gets too hard, simply leave it on the counter for 15 to 30 minutes before serving. This is also great in cocktails!